2. Do I have to pay for membership? 3. How do I make an exchange or return? 6. When can I expect my order to arrive? 7. Is my merchandise insured? 10. Do you have a friend referral program? 11. How do I invite a friend to become a member of Home Market Deals? 12. What is the HMD Deal of the month? 13. How do I get notified about events? 14. How long does each event last? 15. Can I choose what kind of e-mail I receive? 16. How do I cancel my Home Market Deals membership? 17. Do my points expire? 18. Can I order by phone? 19. How do I send somebody a gift? Joining Home Market Deals only takes a few minutes of your time, and membership is effortless and risk-free. To get started, simply create a sign in. As soon as you have completed your profile you’re ready to begin shopping! Membership at Home Market Deals is free and open to anyone. We do, however, reserve the right to limit or delay access to any member for any reason. Our exchange and return procedure is simple, but there are a few things you can do to ensure a smoother, faster return. Please visit our Return Policy section for more details. All orders with shipping addresses within the contiguous United States are delivered at rates that vary by product weight, and will arrive within 4-7 business days after your order is placed. The rates range from $25 to $250 depending on the item and the type of shipping you select. When you place your order we suggest you carefully review the shipping amounts and options before purchasing. Orders shipped to Alaska, Hawaii, U.S. territories, APO / FPO addresses and Canadian addresses are charged additional shipping and handling fees per item. This charge covers additional postage and handling required to ship to these locations. Please note that orders to Canada may be charged additional state taxes or import fees. Currently we do not ship overseas. For more information please visit our Shipping Information section or call us (714) 983-1173. Yes. Once your order is confirmed you can easily track its status in your My Account tab by clicking on Order History in the right-side menu and selecting the order you wish to track. After your order ships, you'll receive a notification email with a tracking number, so you can check on your shipping status and know when to expect your order. 5. When can I expect my order to arrive? Orders are usually processed within two business days and your delivery should arrive 4–7 business days after you place your order. Once your order ships from our warehouse, you will receive an email confirmation with tracking information. You can also track your order in your Order History page at HomeMarketDeals.com. We recommend tracking when your order is scheduled to arrive and making any necessary arrangements to ensure your shipment is delivered successfully. 6. Is my merchandise insured? Home Market Deals insures all shipments against theft and accidental damage, at no cost to our members, up to a value of $100. Once the merchandise has been delivered, the insurance ceases to be in effect. We will charge your card when you place your order. 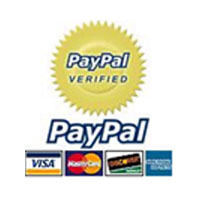 We accept PayPal, VISA, Mastercard, American Express and Discover. We do not accept money orders, personal cheques or cash. 9. Do you have a friend referral program? Yes! 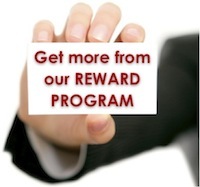 Friend referrals are part of our Points rewards program. 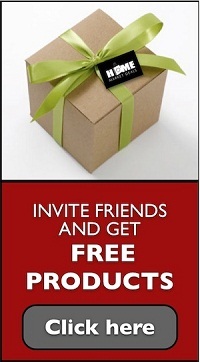 Inviting your friends is easy and you can earn free products or special gifts! Invite as many friends as you want, and for every friend who places an order, you'll earn up to 10,000 HMDPoints toward a free product. You can redeem your points for a credit, and there is no limit to the number of credits you can earn. To start inviting your friends and to learn more, click here. 10. How do I invite a friend to become a member of Home Market Deals? To offer your friends an invitation, please click on the "Invite a friend" button located at the top of every page on our Website. 11. What is the HMD Deal of the month? Our deal of the month features an extra special product at a fantastic price, available for a brief time, and in limited quantity to our members. 12. How do I get notified about events? HMD sends an email notification prior to every deal of the month. Each email will include the featured brand, date, and time of the upcoming event. Members are notified by email in advance of each upcoming event according to their notification preferences. You can edit your notification preferences to choose what type of notifications you want to receive as well as how often you want receive them. 13. How long does each event last? Each event typically lasts only 30 days, except for special events for our select members. After each event ends, the merchandise is no longer available at the deal of the month rate. 14. Can I choose what kind of e-mail I receive? Of course. We know that sometimes you want it all, and sometimes less is more. To manage your email preferences, simply sign in to your account, choose My Account, and click on Email Preferences. Uncheck any boxes next to types of emails you wish to stop receiving from us. 15. How do I cancel my Home Market Deals membership? If you wish to cancel, you may do so at any time and there is no cancellation fee. Home Market Deals strives to provide the best service and personal experience, but if you decide to cancel, please call our Client Services department at 1 (714) 983-1173, Monday – Friday 7 a.m. – 5 p.m. (EST). Please note: Accounts cannot be cancelled via email. 16. Do my points expire? Promotional and referral credits expire one year after they're issued. Account credits do not expire. You will be notified by email if any of your promotional or referral credits are about to expire. 17. Can I order by phone? To help keep our prices low, all purchases can only be made through our website. 18. How do I send somebody a gift? To send a gift, place your order in the usual way. At checkout, make sure to fill in the name and address of the person you shopped for in the Recipient Details box. Next, check the "Is this order a gift?" box which appears just below the shipping and billing information area, and add a personal message if you wish. If your gift recipient is not already a Home Market Deals member and wishes to return their gift, the return can only be processed under your account. However, the paperwork which comes with their gift will feature a special invitation link they can use to become a member.